Congressman John Lewis wanted to be a preacher. He grew up on his parents' farm in rural Alabama taking care of the family chickens (to whom he was practising preaching!). The story starts in his congressional office as he is preparing to go assist at Obama's inauguration. A black lady comes into the office with her children to show them up a place where history was made. Instead they meet with the Congressman himself who takes this opportunity to tell them a little about himself and the history of the civil rights movement. With the help of his uncle Otis and Martin Luther King, Jr., to whom he wrote a letter, he succeed to go to college in Nashville. There, he contributed to the Student Movement and, inspired by Gandhi's nonviolent protest, took many actions to fight against segregation. The storytelling is excellent and the art is pretty good. 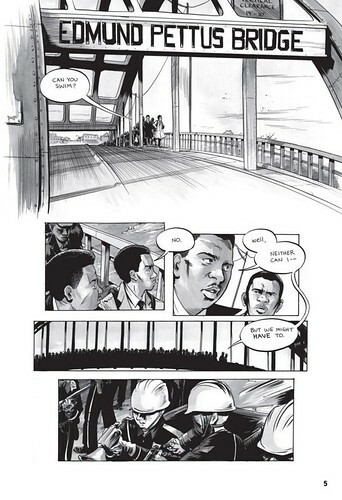 It is a superb idea to bring back to life Congressman Lewis' memories, such as his actions of civil disobedience, for a new generation to understand what the civil rights movement was all about. 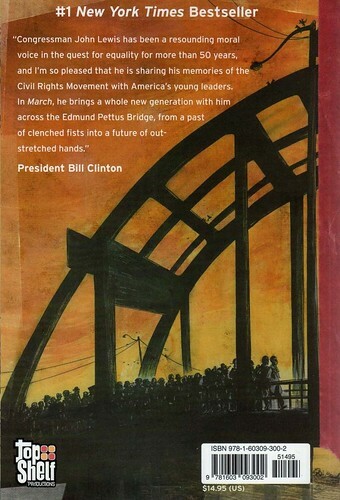 It is very educational and it is probably even more relevant today than when it was first published (considering the “Black Lives Matter” movement and the fact that I discovered this book through a CNN report about President Trump insulting Congressman Lewis, saying he was “all talk and no action” !). All in all, it's a nice way to teach the history of an important moment of our Western Civilization, but also an excellent occasion to talk about good moral values. The life of great role models like Congressman Lewis need to be recorded for the posterity, but not only in history books or museums but also as part of our popular culture. It's a good reading for the Black History Month and I cannot recommend it more strongly. 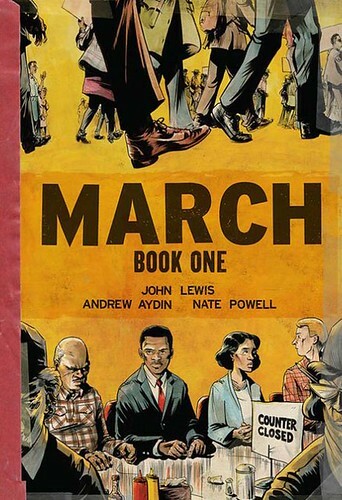 March: Book One, by Congressman John Lewis, Andrew Aydin, and Nate Powell. Marietta GA: Top Shelf Productions, August 2013. 128 pg., Softcover, 6.5" x 9.5", 14.95 US / $19.99 Can. 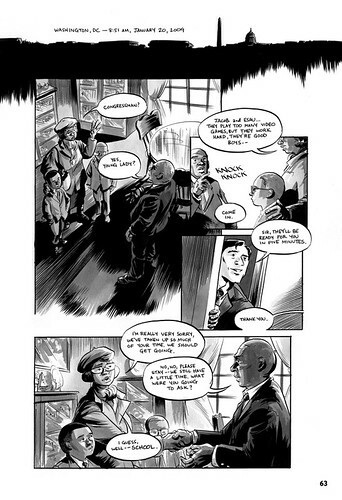 ISBN: 978-1-60309-300-2.